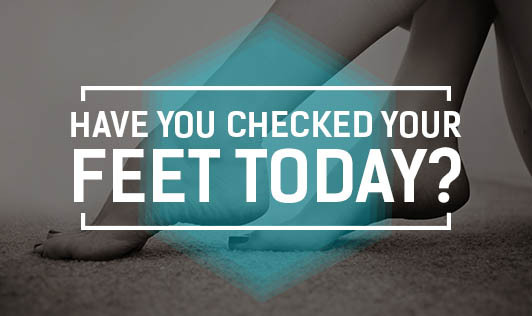 Have You Checked Your Feet Today? It is said that your feet can say a lot of things about you. And one thing they can say for sure is your health and hygiene status. Clean feet give us a feeling of well being and also prevent foot problems. With a little care, you can put your best foot forward! Be kind to your feet. Wash and dry your feet at least once a day if you are at home all day, and each time you go out and return home. Use mild soap and warm water when you bathe your feet. Dry your feet thoroughly and do not leave water drops on them. Apply petroleum jelly (like vaseline) or any other lotion on your feet soon after your bath. This maintains suppleness and prevents cracks. Check for any changes in your feet, especially if you are a diabetic. Put your feet up when you sit. This improves blood circulation to your feet. DO NOT walk barefoot outside your home. Wear comfortable footwear for exercise, for office and other outings. Use socks if you need them, even with open sandals. Change your socks daily. Avoid open footwear if you are prone to injury or if you are diabetic. Avoid footwear with high heels and pointed toes. You can get more insights into footwear under the articles section titled ‘General Health’. Look for ‘Choose the Right Footwear’ heading. Most importantly, walk around as much as you can. Keeps your body, mind, and feet healthy! Cut toe nails and smoothen with a nail file. Do not cut too close to the skin or nail-bed. If they are hard to cut, do so after a bath when they are softer. Gently scrub your heels while bathing. Massage your feet after a bath. Pamper yourself with a pedicure when you find time. It rejuvenates the feet and relaxes your mind. If your feet get injured, let your doctor treat you; do not try any remedies on your own. If you are worried about your feet, check with a podiatrist (foot specialist) in ‘foot clinics’ that have opened in some of the cities in India.